Team fit, business expertise and technical competence are critical to maintaining our strong brand so we’re delighted to welcome Jeff to the team. Ninefold, Australia’s cloud, has welcomed Jeff Black to the newly created role of Service Delivery Manager to oversee technical and customer service delivery and performance. Mr Black holds responsibility for delivering Ninefold’s high quality self-managed cloud infrastructure services to customers, day-to-day management of its local support team across all channels (including telephone, email, Twitter, LiveChat) and communications with a range of stakeholders, including customers, third party service providers, carriers and vendor partners. He brings considerable project management and process control experience to Ninefold. He joins Ninefold from Harvey Norman IT where, as Service Improvement Manager, he was an integral part of the senior leadership team and managed a team of 20 customer service staff and engineers. He has 14 years’ experience in service delivery, vendor management, risk management and problem resolution gained at EDS Australia, IBM Global Services Australia, Fujitsu Australia and Computeraid (UK). Currently undertaking a MBA (Executive) postgraduate degree, Mr Black holds a Bachelor of Information Systems (Computing) from the Australian Catholic University (ACU). Ninefold is Australian public cloud computing and storage with locally stored data, free local support, self service flexibility and low latency. This allows you to provision dedicated servers and cloud storage quickly - scaling up and down when needed – and only paying for the resources you use. Ninefold virtual machines are powered by XenServer and VMware. Sign up in seconds. Start using in minutes. Benefit for years. 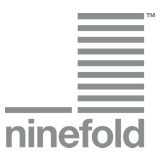 Ninefold is a registered trademark.